Rotor Outside Diameter (in) 10.080 in. Rotor Thickness (in) 0.874 in. (5.0) Built for the (83-88) Ford Thunderbird... Features:Wider Aperture GroovesSpecial Disc Alloys Unique to EBCDimple Hole ConstructionBalanced GeometryAdvantages:The wider slots on these EBC front rotors actually draws cool air across the pad surface keeping pads and rotors cooler. 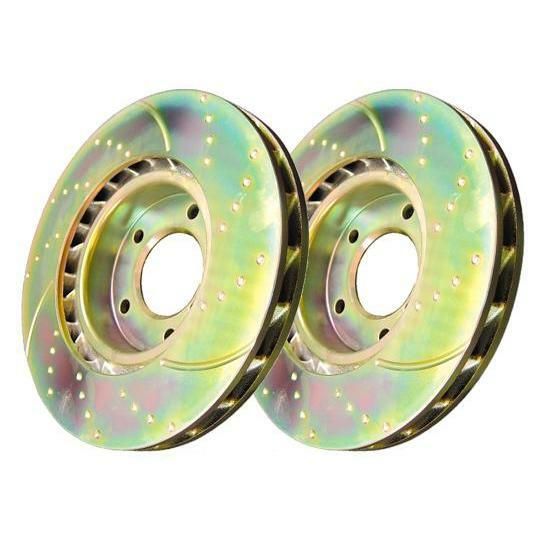 EBC believes these rotors also expel dust, dirt and hot gases better than fine slots which eventually fill with rust and scale. The blind drilled holes break down surface gases when braking from speed but do not weaken the rotor cross section as can happen with through drilling, thereby lessening the chance of rotors cracking over time and heavy use.Extra benefits of sport rotors are not often spoken about but are very worthwhile. This is the effect the slots have on maintaining a flat smooth pad surface during the pads wear life. The slots encourage the pads to wear with a more flat pattern and the "Ribbing" common with non slotted rotors does not appear. 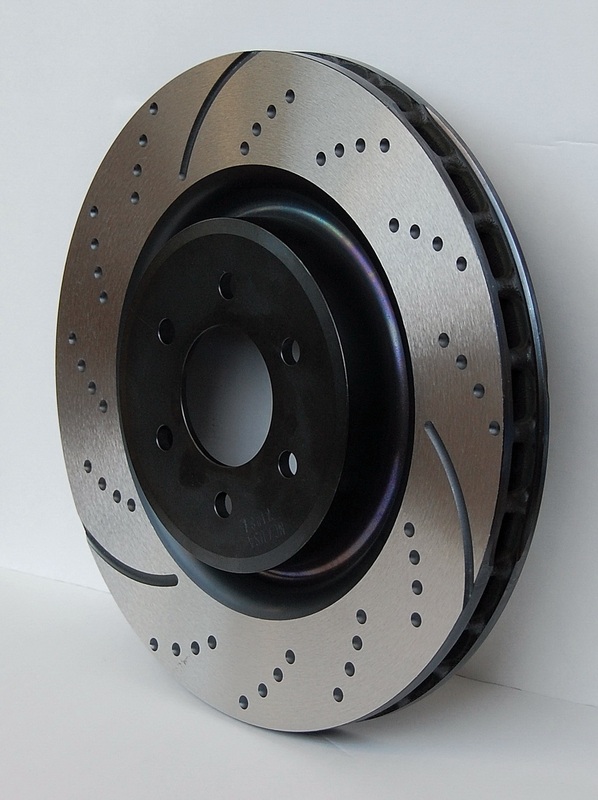 This removes the "Record groove" effect of pads on plain rotors, particularly around the outer edge and helps pads maintain better contact area with the rotor through their life. As far as EBC is concerned this is the MAJOR benefit of sport rotors over all others as honestly speaking EBC pads have such a high temperature rating they don't NEED degassing. EBC tests all pads to temps over 1000 degrees. Excellent transaction, received item very quickly and it was a lot cheaper than any other online retailer that I was able to find, could not even find cheaper on e bay.